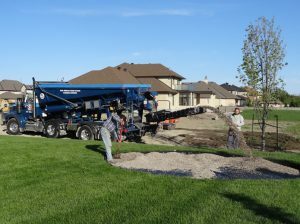 Ottawa Playground Installation | Greely Sand & Gravel Inc.
As a new concept, homeowners and schools have been creating Natural Playgrounds for children to encourage more environmentally focused, natural play. Greely Sand & Gravel Inc. offers a wide variety of boulders and wall stone to allow creativity to flow in design, installation, and ultimately, playtime. Choose from Cheetah Stone or Elephant Stone for “stepping stones” to Mountain Grey Wall Stone for a stage or table top. And just think, once the children grow out of the natural playground, you can turn it into an outdoor bonfire area to create new fun and excitement. 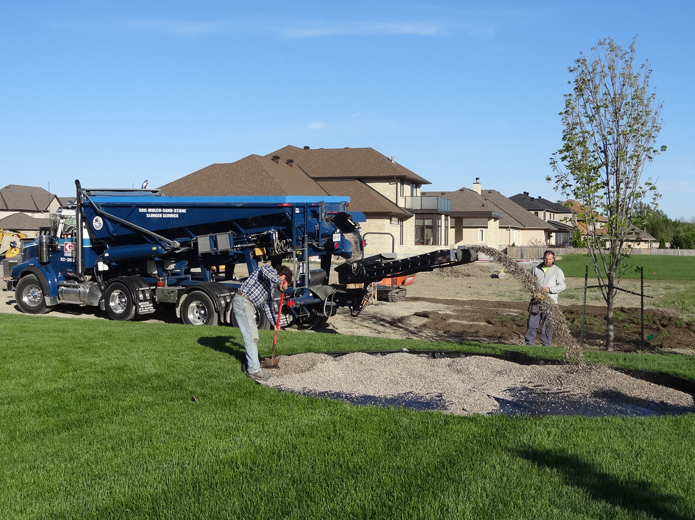 Step 1: Dig out the area approximately 6″ in depth and install geotextile to ensure stone does not work its way into the existing soil and restrict weeds from growing. Step 2: Install edging to restrict grass from growing into the pea stone. Step 3: Install 6″ of 3/8″-5/8″ Coloured Riverwash Stone (pea stone) or Playground Stone. You can do this manually, or the fast and easy way using a slinger. Click here to see the slinger in action! 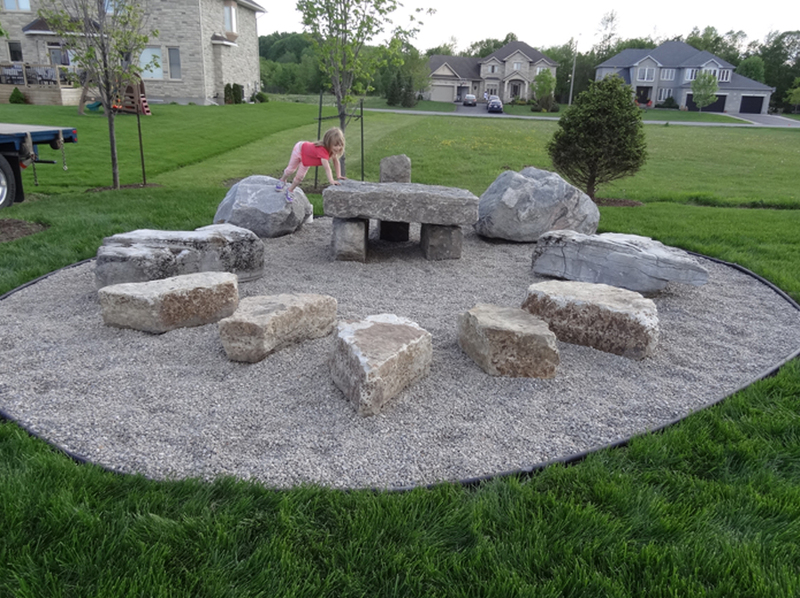 Step 4: Visit Greely Sand & Gravel Inc.’s landscape depot located at 1971 Old Prescott Road to pick out the stone you want for your Natural Playground. Choose from a variety of stone, including Large Landscape Boulders, Tatlock Mining Stone, Granite Stone, Canyon Stone, Cheetah Stone, Elephant Stone, Fractured Stone, Mountain Grey Wall Stone, Bobcat Armour Stone, and Tan Armour Stone. Set up the delivery date. 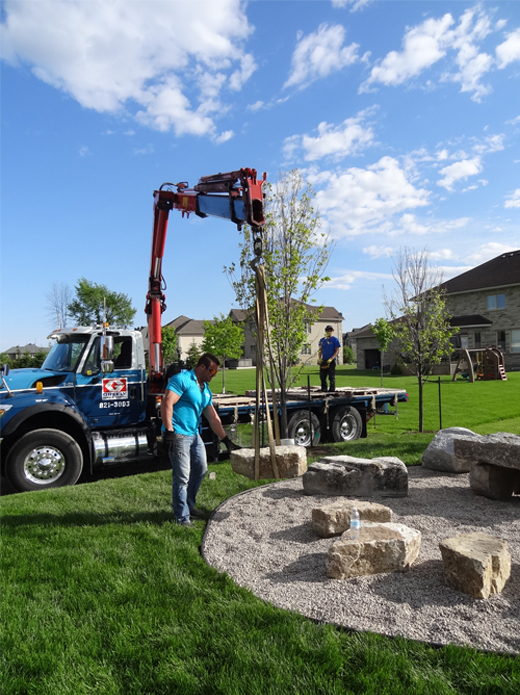 Step 5: Install the boulders and wall stone using Greely S&G’s boom truck (of course, depending on access to your Natural Playground).